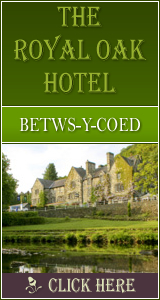 Holywell: Accommodation, Attractions, Activities, Going Out, Shopping, Things to Do, Places of Interest, Outdoors, Holywell Holidays, Holywell Area Location, North Wales. Located in North East Wales and set amid rolling countryside overlooking the estuary of the River Dee, the centre of this traditional Welsh market town has changed little over the last few hundred years as its rich variety of fine late Georgian and Victorian period buildings will testify. Holywell is an ideal centre from which to explore the surrounding countryside with its unspoiled villages and charming country inns which dot the landscape from the panoramic heights of the Halkyn moors to the banks of the majestic River Dee Estuary. Holywell Town Website Holywell Guide. What to See, Visit, What's On etc. Cycle Ride from Holywell Holywell - Whitford - Caerwys - Afonwen - Babell - Brynford - Pantasaph - Holywell. Greenfield Valley The Country Life on Your Doorstep. Tourism Attraction in Greenfield, Holywell.